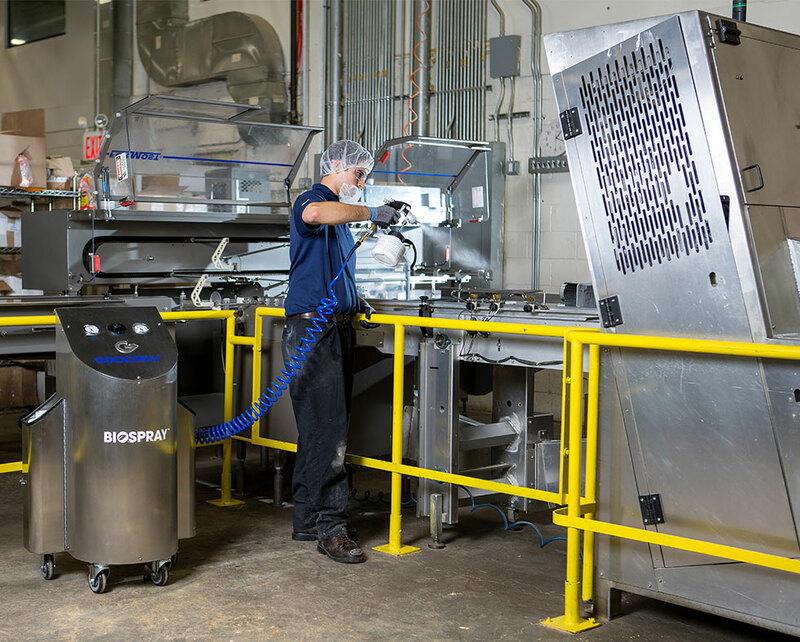 BIOSPRAY-D2 is ideal for sanitation and disinfection use on a variety of food contact and non-food contact food and beverage production facilities, healthcare and schools and universities. It is ready-to-use, quick drying and ideal for water sensitive areas. 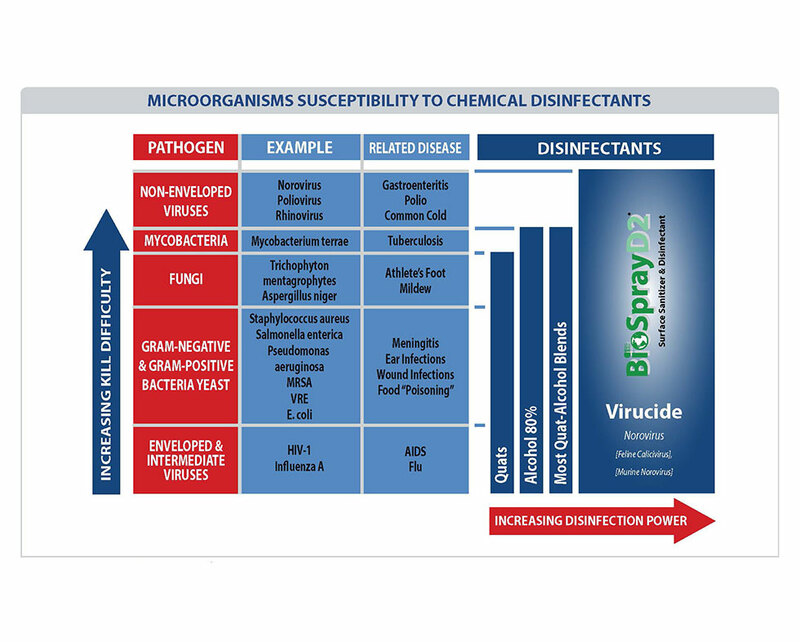 BIOSPRAY-D2 is a combination of isopropyl alcohol and a powerful quaternary ammonium compound. Use it to clean, sanitize and disinfect food contact and non-food contact surfaces with one product. BIOSPRAY-D2 is quick drying and for water sensitive areas, like conveyor belts, food packaging systems, healthcare equipment, gyms and more. For applications outside of food and beverage production facilities, this product can be used for cleaning, sanitation, and disinfection needs. 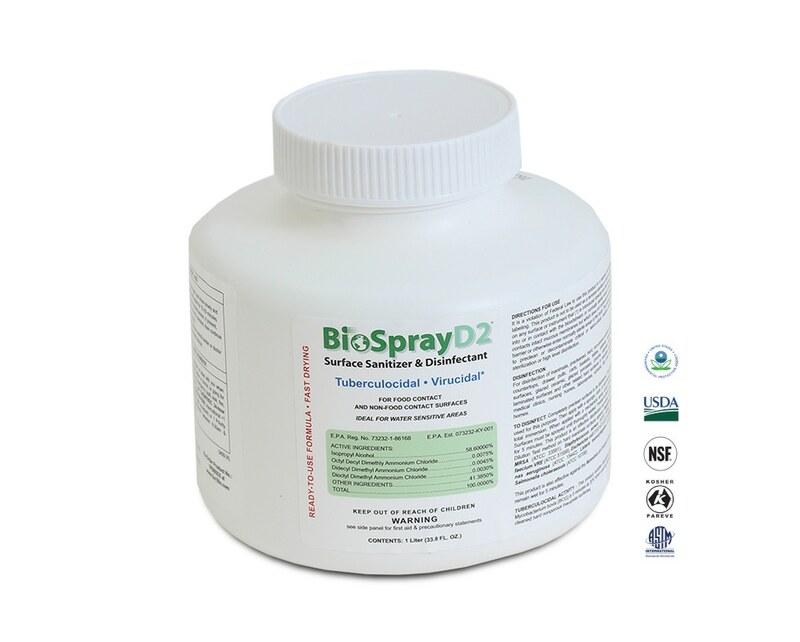 BIOSPRAY-D2 is an effective virucidal disinfectant against the following viruses on hard non-porous surfaces: Norovirus (Feline Calicivirus as surrogate) [(ATCC VR-782)], Influenza A H1N1 [(ATCC/IRR FR-371)], Hepatitis B Virus, and Human Immunodeficiency Virus Type 1 (HIV-1). Certified Kosher and Pareve, for year-round use (excluding Passover). 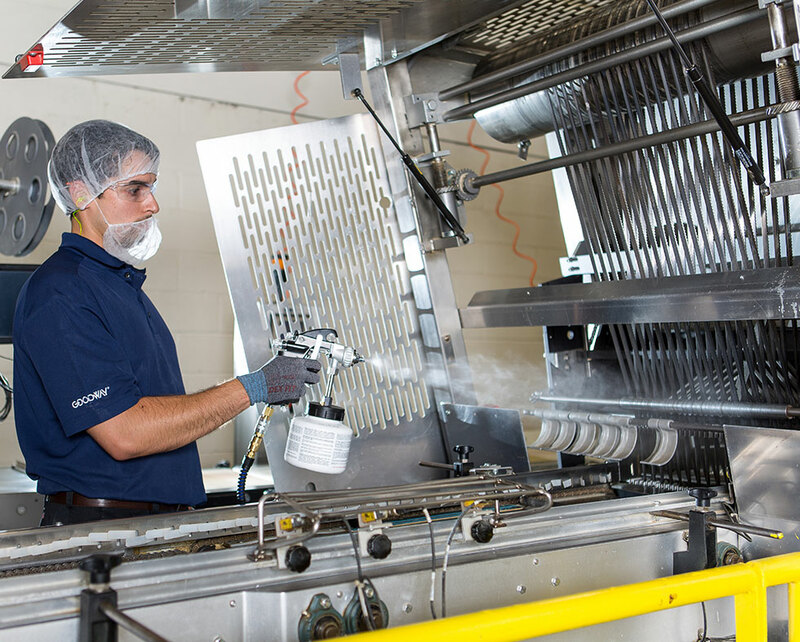 The patented BIOSPRAY® Surface Cleaner and Sanitizer system delivers faster, safer and more efficient sanitation in your food plant, healthcare facility or other area that requires absolute sanitation. It uses a specialized electricity-free CO2 delivery technology to apply BIOSPRAY D2 EPA registered sanitizer. More portable than the BIOSPRAY-20, but just as useful. Uses 10llb CO2 tank and offers intermittent spraying, not continuous.